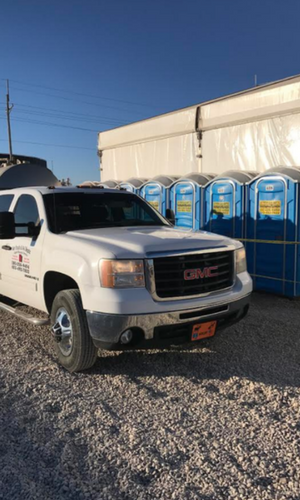 If you have a need for portable toilets, look no further than Air Fresh LDS Inc. We are here for you! Being in the business of clean, we know a thing or two about the necessity in having dependable sanitary systems. That's why we provide a range of portable toilets that can accommodate any client. 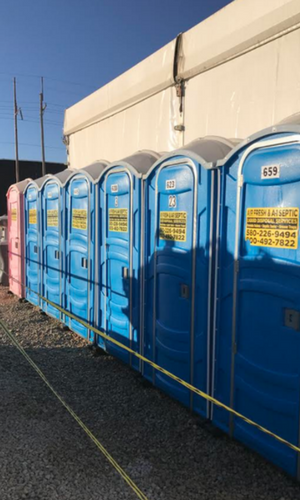 We offer everything from standard portable toilet units to handicap-accessible portable toilets. Plus, we take care of the work for you! As part of our services, we deliver and set-up your portable toilet units. 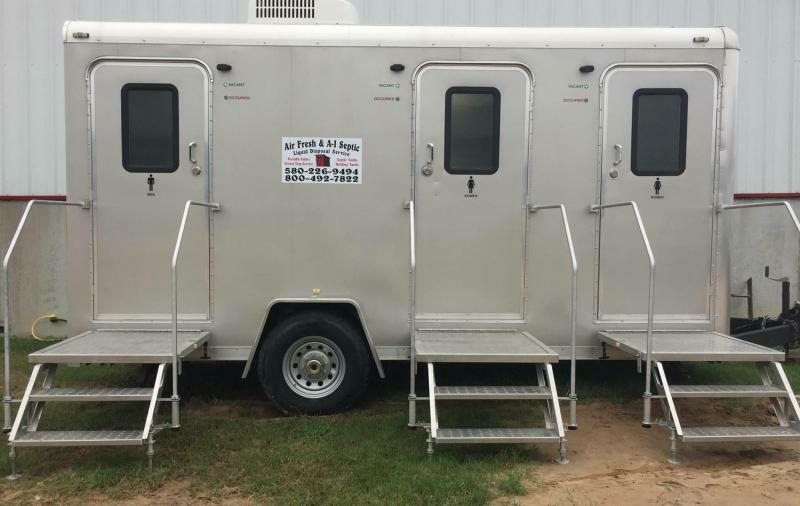 Our porta johns can be utilized for a variety of cases; job sites, outdoor events...you name it, we can help. Unsure of how many porta potties you need? We can help you determine how many you need based on your guest list and event size. Trust Air Fresh LDS Inc to provide reliable outdoor bathroom facilities for all your needs. We carry an expansive range of portable toilet units to accommodate every type of client. Take a look below to learn more about our units. Not sure how many units or which would be ideal for your situation? Call us now at (580) 226-9494! Plus, we also offer flying unit portable toilets that can be lifted on jobsites for use in an elevated construction. Choose from half-riser portable toilets for jobsites with multiple floors and enclosed half units. Portable toilets aren't just for job sites but virtually any festive outdoor occasion. 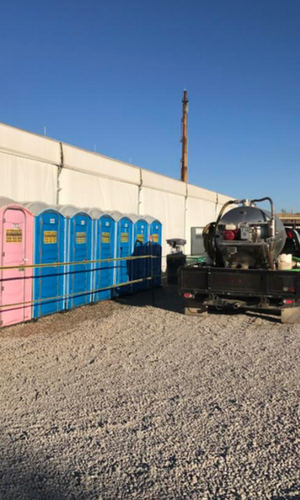 We even offer our units in blue and pink along with handicap options and portable restroom trailers. Our portable toilets can be used for weddings, festivals, concerts and so much more.